We have added a new 19V 1.5A AC power adapter, the ED-AD9NX01 to our inventory. The adapter works with Samsung NX5, NX10, and NX100 cameras. As with all our adapters, the ED-AD9NX01 comes with a 24-months replacement warranty. Sony is releasing two new Cyber-shot compacts, the DSC-WX500 and DSC-HX90, which are going to be available in June. BestBatt.com already carries compatible batteries, chargers, and micro HDMI cables for both cameras. You can view them here: Sony Cyber-shot WX500 and HX90 Accessories. Nikon has just announced its new SLR, the D7200, and we already have in stock a wide array of compatible accessories, such as batteries, chargers, adapters and more. 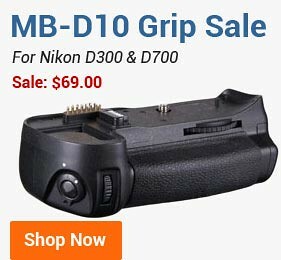 For the complete list of available parts, please see Nikon D7200 Accessories. After careful evaluation of statistics for international order deliveries, we have come to the decision to stop shipping to South Africa. Unfortunately, the ratio of undelivered items and items delivered way beyond the time frame promised to our customers is too high right now. Deliveries to other countries remain unchanged. BestBatt.com has just updated its delivery methods with a new flat-rate shipping option. Starting today, the purchasers can now choose a $2.99 flat-rate standard shipping for all domestic orders within the US. The offer isn't valid for international or domestic expedited deliveries. We also has discontinued our previous free shipping option for orders over $77. For more details, please read our Shipping Policy page. Regretfully, we have to inform you that, from now on, we are cancelling our deliveries to Argentina, Brazil, and Italy addresses. The decision has been made after careful examination of all orders and lost-mail claims we received from customers from Argentina, Brazil, and Italy for the last year. Unfortunately, the vast majority of all our orders from these countries never get delivered, thus nullifying BestBatt.com's promise of speedy and reliable service. Since it is outside of BestBatt's control, we have no other option but to stop servicing these three counties all together. When the current situation changes, we will be more than happy to add those countries back to our list. 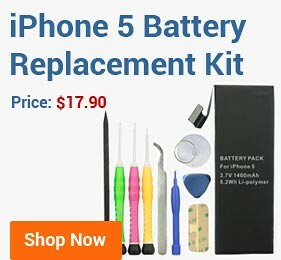 BestBatt.com is running Green Monday Sale event and, in addition, offering a new discount coupon code. See our Discounts & Coupons page for more info. BestBatt.com is happy to announce that we are expanding our service to South Africa. Starting from today, December 3, 2013, we will be accepting orders and making deliveries to South Africa addresses. For estimated shipping time and shipping method options, please see our Shipping Policy page. As a part of our store-wide holiday program, we are giving away small gifts with every order made by January 1st, 2014. There are no restrictions on purchase amount or number of items in the cart. For more details, please see our Discounts & Coupons page. In addition to our store-wide holiday markdown, we are offering an extra 10% off any laptop battery at BestBatt.com. The sale ends on December 9th, 2013. Nikon is adding the D610 to its DSLR lineup in November, and BestBatt is already stocked with a variety of accessories for the new shooter. 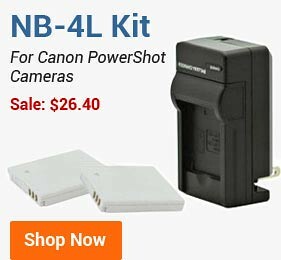 We carry EN-EL15 batteries and MH-25 chargers, as well as MB-D14 battery grips, EP-5B connectors, EH-5B adapters, EG-D2 audio/video cables and other replacement parts for the new camera. 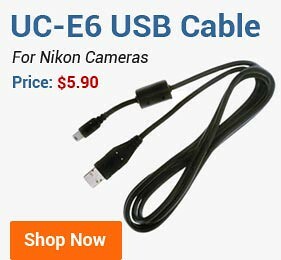 We have added a new product to our inventory, the micro USB cable for Fujifilm X-M1 and X-A1 mirrorless cameras. 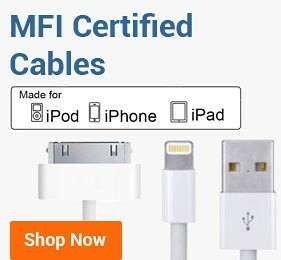 The cable is already in stock and available for purchase for $5.50. 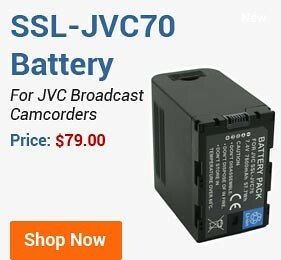 We are expanding our batteries lineup for Canon VIXIA / LEGRIA camcorders with the new BP-709 battery. The least expensive in its class and with a price tag of $19, the BP-709 is rated at 900mAh and, similarly to other new generation BP-700 series batteries, equipped with an info-chip showing the remaining power on camcorder's display. The battery is currently in stock and available for immediate shipping. BestBatt.com is now selling 6-cell PA3634U-1BRS / PA3816U-1BAS / PA3818U-1BRS / PA3817U-1BRS batteries for Toshiba notebooks. The battery is rated at 5200 mAh and compatible with an array of Dynabook, Satellite, and Portege laptop models. The PA3634U is already in stock, and you can purchase it for $36. We are pleased to announce that our new "intelligent" BP-718, BP-727, and BP-745 batteries for popular Canon VIXIA camcorders are in stock and will be available for shipment starting tomorrow. The batteries boast built-in info-chips that show the remaining time on camcorder LCDs. Accessories for Sony Alpha NEX-5T. BestBatt.com is pleased to announce that all batteries in BN-VG1 series, BN-VG107, BN-VG114, BN-VG121, and BN-VG138, are already in stock and available for purchase. As it was announced earlier, the batteries are equipped with info-chips that show the remaining recording time on camcorders' LCD screens. BestBatt.com is the first company in the US that now sells non-JVC-branded BN-VG1 series DATA batteries. We have started selling accessories for two new brands of action cameras / camcorders: Intova and SeaLife. BestBatt.com now can offer new lithium-ion batteries and chargers for Intova IC14, IC12, SP8, SPORT 8, and SP880K sports and waterproof cameras as well as DC-1400, DC-1200, DC-600, DC-500, and S5 underwater cameras. All products are already in stock, and you can locate them in Action Camera Accessories section of the site. BestBatt.com are introducing two new products, a universal windshield/dashboard car mount for smartphones and a dashboard mount for tablet PCs. The first product can be used not only with smartphones but also with digital cameras, GPS, and MP3/4 players. The latter mount is primarely designed for larger screen devices such as Apple iPads, Samsung Galaxy tabs, Amazon Kindle, and other tablets but can also be used for smaller gadgets such as smartphones. Both products are already in stock now. Accessories for Nikon COOLPIX S6600. BestBatt.com has introduced two new USB data cables for Samsung products. The AD39-00190A micro USB cable is currently available for $5.50 and can be used either as a data transfer cable for moving images and videos from a Samsung camera to your PC or as a charging cable. 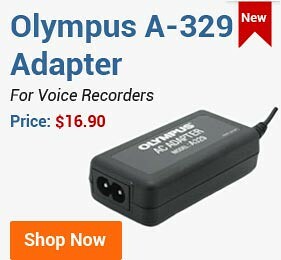 The AD39-00169A functions the same way as the AD39-00190A but is compatible with Samsung camcorders instead of digital cameras. The cable is sold at $5.50. BestBatt.com is manufacturing a new, improved version of BP-727 batteries for popular Canon VIXIA camcorders. The new batteries now contain a "smart" chip that displays remaining battery power on camcorder monitors. As the result, the old generation of BP-727 batteries are being discontinued, and it is expected that they will be sold with a discount in the nearest future. The BP-727 combo products consisting of two BP-727 batteries and one charger are going to be on sale starting tomorow, July 20th, 2013. The latest version of BP-727 batteries is expected to be available through our online store at the end of July - beginning of August. BestBatt.com has started manufacturing a new generation of BN-VG Data series batteries for JVC HDD / MicroSD, Flash Memory, and Hard Drive Everio camcorders. The new batteries are equipped with an info-chip that displays the remaining recording time on a camcorder LCD screen. The battery series are comprised of three models varied by their capacity level: BN-VG107, BN-VG114, and BN-VG138. The expected availability of the new batteries is July 26th. 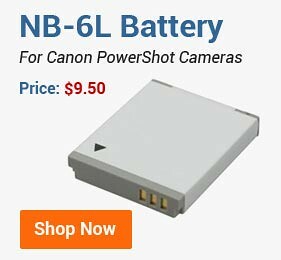 Starting from today, BestBatt.com has initiated a storewide price markdown on all camera and camcorder uni-channel battery chargers. The highest price on all major types of chargers is expected to be $15.50. 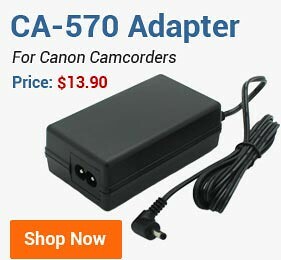 Please note that the earlier introduced dual-channel battery chargers for camera and camcorder batteries as well as specialty chargers are not affected by the recent price reduction. All battery chargers are backed with a two-year manufacturer's warranty that covers full product replacement. 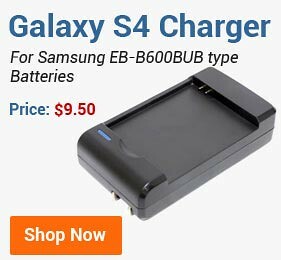 BestBatt.com has introduced its new product line - dual channel battery chargers for various camera and camcorder batteries. The new ultra-efficient chargers allow users to power up to two camcorder or camera batteries simultaneously. The chargers come with an AC cable (100-240v) and feature automatic cut-off and "trickle" charging for the batteries to keep their capacity at the full level after the charging is complete.